Thank you for your interest in The Illinois Dance Education Organization! You have the option of purchasing either State Level (ILDEO) membership, or National (NDEO) membership which includes membership in ILDEO automatically. You can review the options for each below. You can review more details on either option below. To purchase dual membership, visit the NDEO website. 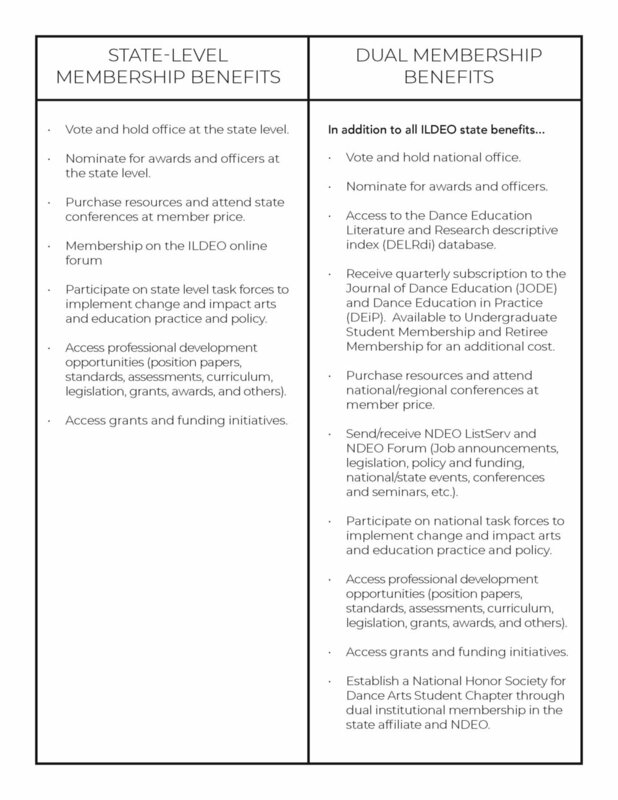 Once you have purchased your NDEO membership, you will automatically be added as a state-level member. Any questions about membership can be directed at ildanceed@gmail.com.